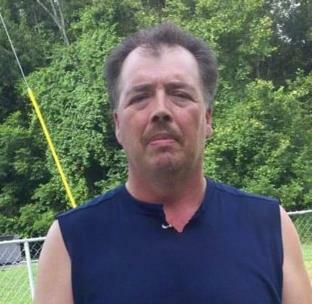 With his family at his side, Dennis Sue Quarles at the age of 49 years old gained his wings to go Home on Thursday, February 7, 2019. Dennis has been a lifetime resident of Jasper, Tennessee. He was of the Baptist faith. The loved ones to cherish his memories are his parents, Willie and Patricia Quarles; daughters, Cassandra (Joe) Quarles and Amanda (Brian) Kaysen; brother, Willie (Maria) Quarles; sisters, Rebecca (Samuel) Geer and Tammy Quarles; and grandchildren, Ezekiel Thomas and BreAsia Quarles. The family will receive friends and family on Sunday, Feb. 10, at Tate Funeral Home in Jasper, Tennessee from 1-3 p.m. CST. A “Celebration of Life” will be held in the chapel at Tate Funeral following visitations at 3 p.m. CST. Arrangements entrusted to Tate Funeral Home, LLC, 950 Mel Dixon Lane, Jasper, TN 37347, (423) 942-9500.